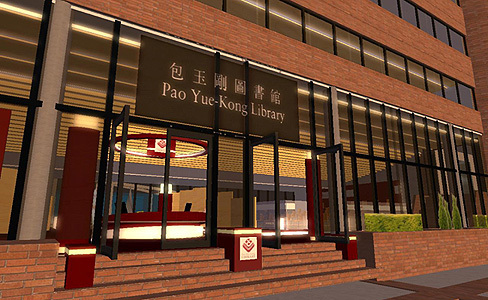 As a resource for the whole university, the Pao Yue-Kong Library has set up a virtual library on our island. You are always welcome to come and look for library resources here. However, if you would like to arrange a library tour or hold an event in the library, you will need to send a request specifying the date, time and number of students involved to us 2 weeks before the event.